After a one year hiatus NBC has decided to bring the invitational National Heads-Up Poker Championship which ran from 2005 through 2011, and was one of the more popular televised poker shows, even airing on broadcast television on Sunday afternoons. The 2011 event was played in the wake of Black Friday, but shortly after airing it was announced that NBC would be cancelling the event for the foreseeable future –as the poker world was in tumult, and televised poker shows had no idea where advertising dollars would come from, or what the future of the game would be. According to the NBC Twitter feed, the 2013 NBC National Heads-Up Poker Championship will take place from January 24th through the 26th, and will once again be held at Caesar’s Palace in Las Vegas, Nevada. No mention of who the invited 64 players will be at this time, but generally they are the biggest names in poker with a handful of celebrity poker enthusiasts thrown-in. •	Phil Hellmuth wins the inaugural NBC Heads-Up Championship in 2005, defeating Chris Ferguson in the finals. •	Chris Ferguson finished second for the second straight year when he lost in the finals to Ted Forrest at the 2006 NBC Heads-Up Championship. •	Shannon Elizabeth makes a semi-final run in the 2007 Heads-Up Championship, losing to eventual champion Paul Wasicka, who would go on to defeat Chad Brown in the finals. •	After finishing as the bridesmaid in 2005 and 2006 Chris Ferguson finally broke through in the finals and won the tournament in 2008, defeating Andy Bloch. •	2008 also marked Huck Seed’s second semi-final appearance in the tournament’s four-year history – a harbinger of things to come, as you will soon see. •	In 2009 a woman made the finals for the first time, as Vanessa Rousso nearly won the event, falling in the end to the aforementioned Huck Seed. •	A year later, in 2010, another woman made the finals, Annie Duke, and this time she was triumphant, besting Erik Seidel in the finals. •	In the final year of the tournament it was Erik Seidel who bettered his 2010 performance by one spot, beating Chris Moneymaker in the finals. •	The real talk of the tournament in 2011 was Emmitt Smith, who beat David Williams in their opening round match. 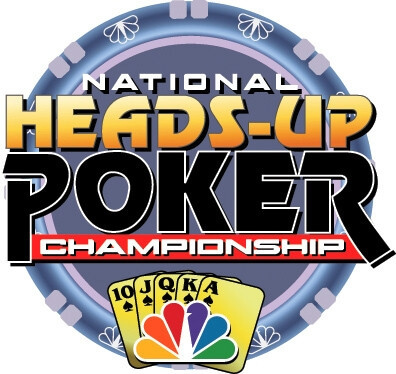 We’ll be sure to bring you updates on the NBC National Heads-Up Poker Championship when more details are released, including the list of entries.